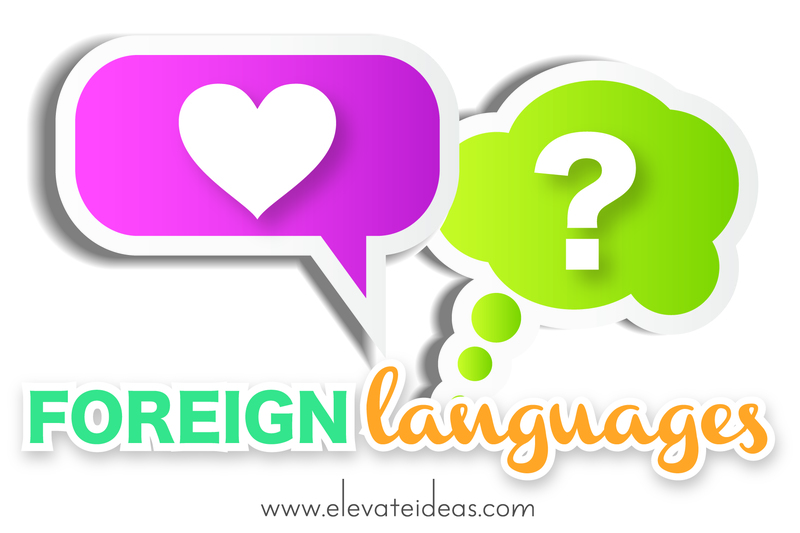 Foreign Languages: New Series (Introduction) | elevate ideas. Nine countries with nine different languages, and I never knew more than a handful of phrases to get me by in each one. What amazed me about my unilingual-ness is that each time I pitifully said “how are you?” in Tagalog or “how much for that gorgeous patent red leather purse?” in Italian, the Filipino and Italian people were so grateful that I even attempted to speak their language instead of being frustrated they didn’t know English. One butchered phrase after another yielded kindness and admiration. What’s puzzling to me is that when we travel overseas, we take the time and effort to learn a few phrases in another language — but when it comes to communicating love in marriage and other relationships, we just demand and expect that those we love speak English. Our spouse might speak Spanish or our siblings speak German, yet we make no effort to learn even a few phrases in their native tongue. Enter The Five Love Languages. You are probably more than familiar with this book. I read it for the first time when I was single, and it absolutely changed my viewpoint about all relationships — parents, siblings and even friends. All of us, for the most part, have a primary and secondary way that we give love to others…as well as ways we receive love from others. For example, I have a friend whose love tank overflows when her husband voluntarily takes care of vacuuming and cleaning. I have another friend whose love tank fills when his wife holds his hand in public and rests her hand on his knee. I have another friend who loves it most when her husband plans date time and takes care of all the details, then holds her hands and gazes in her eyes while giving her 100% undivided attention. Oh, wait…that last one is me. In any case, Dr. Gary Chapman is a genius. So if you’ll bear with me, for the next five weeks I want to journey toward exploring the five love languages. We’ll take a look at what they are, what they mean, and how to speak them. And we’ll also discuss the importance of moving past the awkwardness of speaking a language that’s foreign to you. (It’s always the first bonjour that makes you feel dorky.) Next Monday will start week one and we’ll take a look at the first of the five (in no particular order). Because knowing, translating and speaking the five love languages is not just for the sake of our marriages, but for the sake of our friendships and family relationships as well. Because almost every important relationship in your life will speak love in a language foreign to your own. Once we begin to discover which language our loved ones speak, we can get at least a few key phrases in our back pockets that will make our adventures in these other countries much more enjoyable and fun. What about you? Are you familiar with the five love languages? If so, are you practicing speaking them regularly to your loved ones? What has worked and what hasn’t? My husband and I don’t share a single Love Language! But, we’ve been learning how to speak each other’s for the last 13 years. It’s a slow language acquisition, I tell ya, but SO worth it! This is super -thanks Monica! Looking forward to the next blog posts. 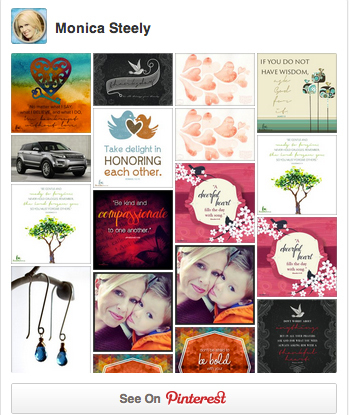 I should reread the book now that I’m married….and figure out my husband’s love language!